Deposit (non returnable) will be minimum £75.00 or 10% of overall cost. (whichever the greater) Deposit payment required within 7 days of booking to secure dates. Balance payments to be paid before 6 weeks prior to the start of your holiday. 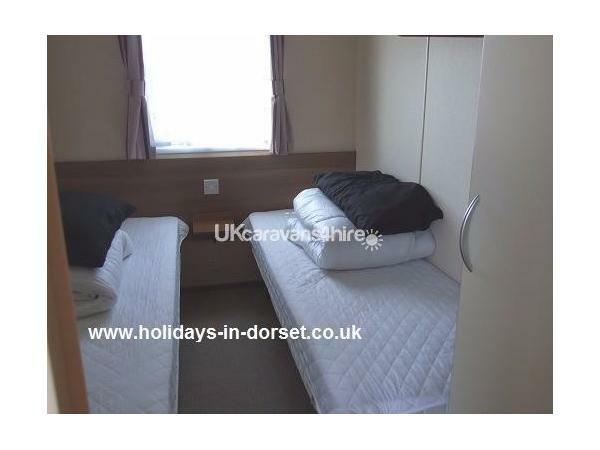 There is an additional security fee of £80.00 per holiday which is returnable after your holiday, subject to the caravan being left in a clean and acceptable condition. 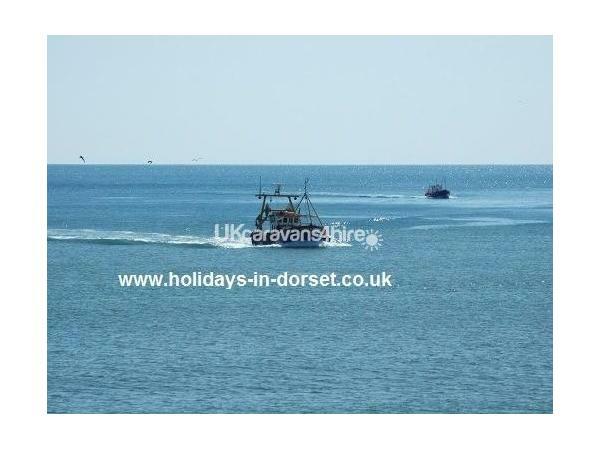 Holidaying dogs: £30 per week per dog. (1 large/medium dog) Maximum 2 small dogs at £50 per week.. Must be fully house trained. 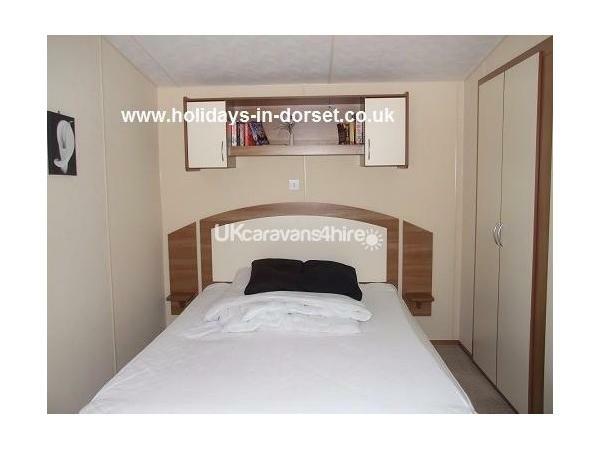 Site rules state that dogs CANNOT be left alone in the caravan unattended at any time. Cheque payment and on line to bank payments accepted. Please give telephone number. Due to spam filters, sometimes our e-mail replies to you don't get through, so we may call you aswell. Please give all party details and dates required? Do you require a travel cot/bed guard? 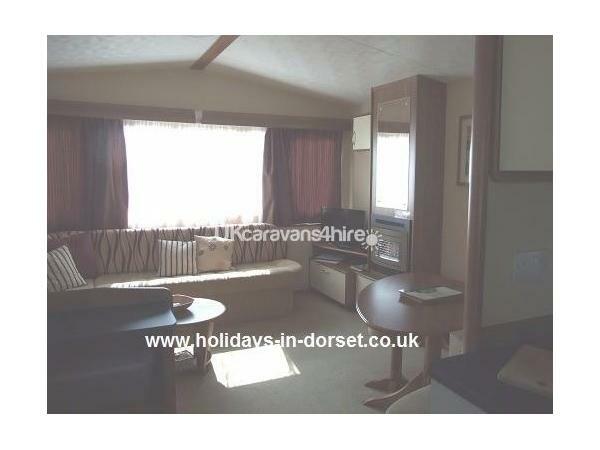 Do you require to use the sofa bed in the lounge area? Do you wish to take a dog? breed & size please? We will answer every enquiry, and ask for read receipt. Please send the receipt back, even if you don't want to book, then we know you have the details through. 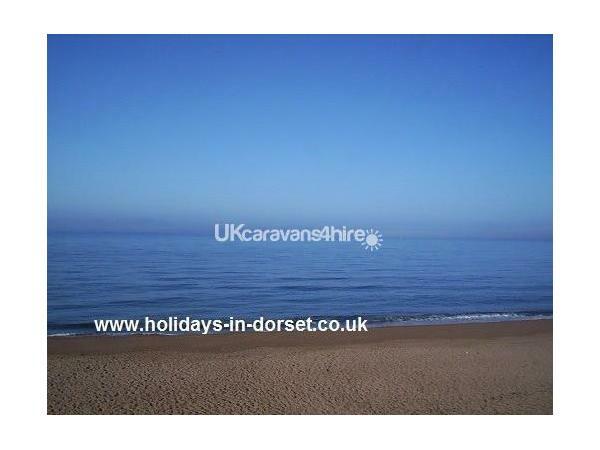 Hiring a privately owned static caravan is a popular way of taking your UK self catering holiday. 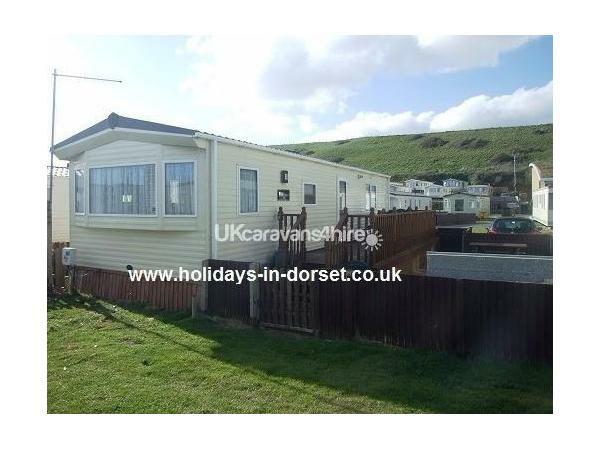 Our static caravan is sited at Freshwater Beach Dorset, where you get a lot more "holiday" for your money. Facility passes are included and will gain you entrance to the indoor & outdoor swimming pools, bowling alleys and evening entertainment. 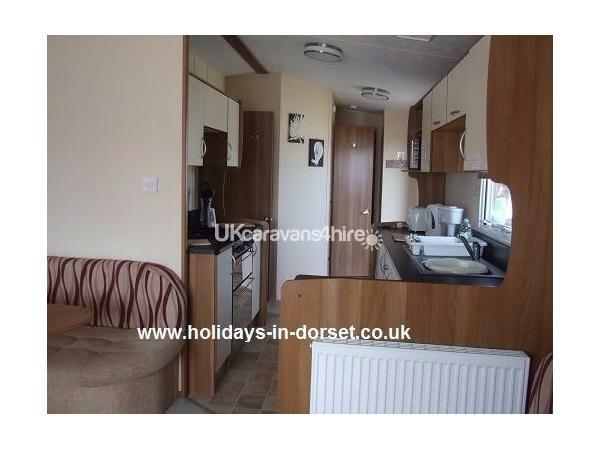 Our caravan is well equipped for any occasion with "loads" of extras included in the price. A fully equipped kitchen for those who like to self cater, TV and DVD player in the living area (and TV in the main bedroom for Mum & Dad too!) Sorry kids, but Mum & Dad also get an en suite wc to the double bedroom too. For al fresco dining there is a full length veranda and fully fenced in garden area. It has it's own parking bay too. 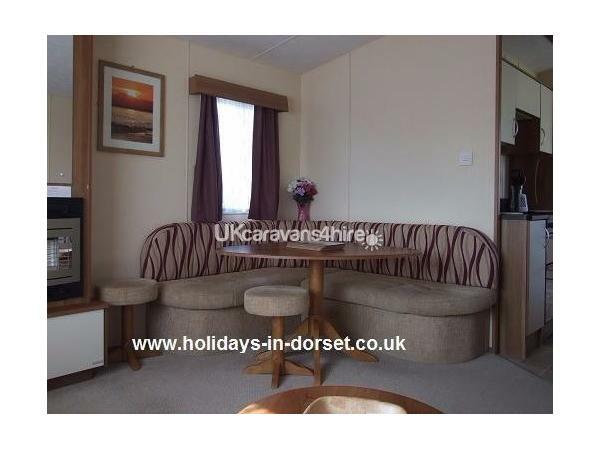 Dogs allowed, but must not be left unattended in the caravan at any time. 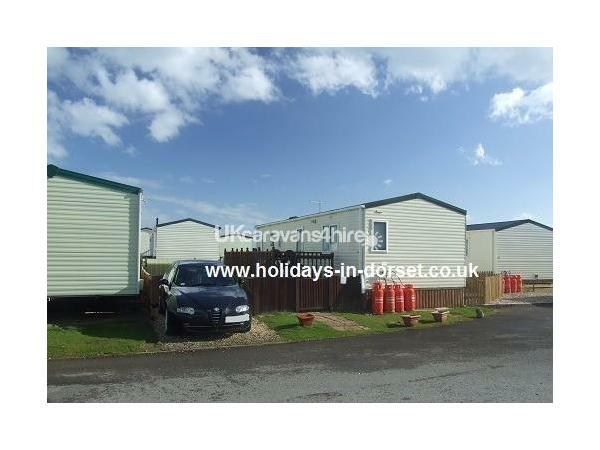 Freshwater Beach Holiday Park, near Burton Bradstock and Bridport in Dorset, has something for everyone, whether you are after a quiet holiday, relaxing in the beautiful surroundings, or a more up beat holiday, where you can enjoy the great facilities provided by this holiday park. Freshwater beach has it's own private beach too, so no rush to beat all the other local holidaymakers. 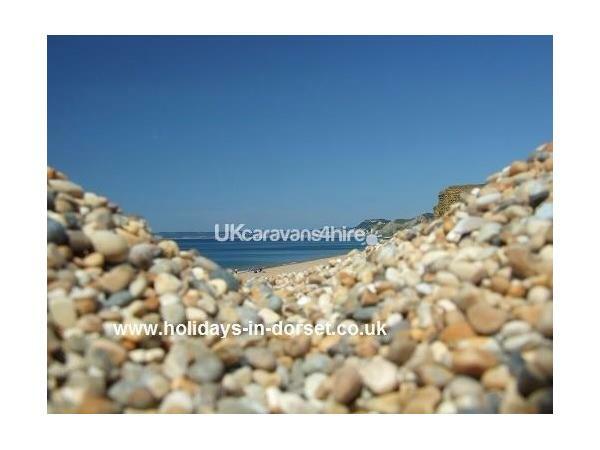 Enjoy peace and quiet at Freshwater Beach, fishing from the private Freshwater beach or the glorious walks along the clifflines, seeing as far away as you can along Chesil beach to Portland and Weymouth, and across Lyme Bay and far away into Devon. Nearby to Freshwater Beach is West Bay which has harbour life for you to enjoy. 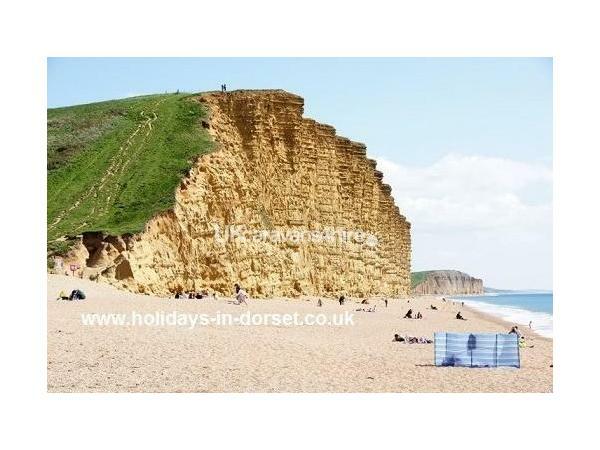 The market town of Bridport, just one mile from Freshwater Beach hosts a wide selection of amenities. Supermarkets for all you self catering people, superb restaurants and cafes for those that like to eat out and a variety of take away food providers. Freshwater Beach has it's own restaurant and takeaway food facilities, a well stocked shop that sells just about everything, so for those that like to park their car and not use it again until the next weekend, Freshwater Beach can supply to all your needs throughout your holiday. Are your dates already booked up? Contact us anyway, we may be able to help!